Going into any rematch, revenge is surely on the forefront of any team’s mind, and it is even sweeter when they can capitalize on that motivation. Cal embraced the underdog role and as the No. 3 seed in the tournament, beating No. 2 seed Baylor and No. 1 seed Arizona State on the way to the title. Every match was different from the one prior and saw a different player step up to drive the rest of the team to victory. To start the tournament, Cal defeated Purdue, 4-0, in a rematch of last year’s tournament opener. After the Boilermakers pushed the Bears to the brink last season — Cal barely escaped with a 4-3 victory — the Bears easily handled Friday’s matchup. 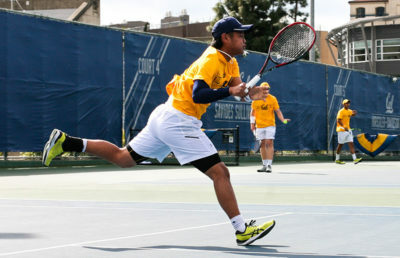 Highlighted by sophomore Dominic Barretto and freshman Can Kaya who bageled Purdue freshmen Javier Rodriguez and Mateo Julio, 6-0, Cal easily swept through the doubles. 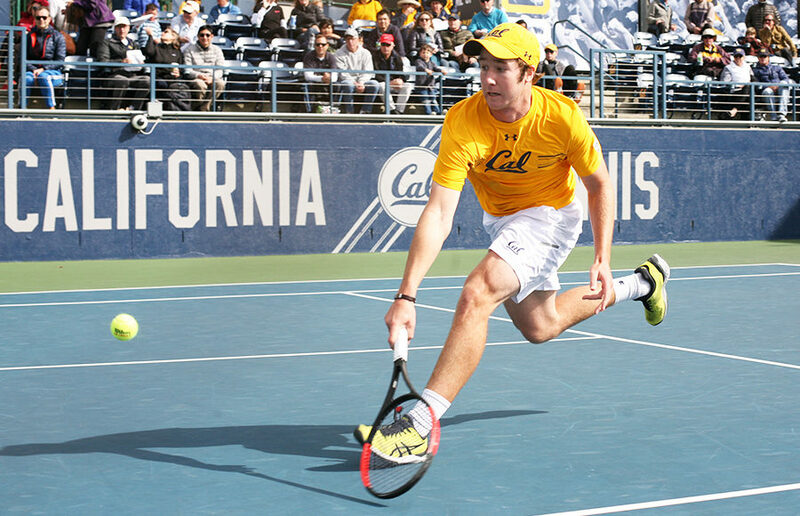 On Saturday, Cal once again stepped up to take down Baylor, 4-2. Revenge was on Cal’s mind this time around as Baylor kept the team out of last year’s finals. Despite dropping the doubles point, the only time Cal wouldn’t secure doubles point this weekend, Cal came out firing and motivated in singles play, especially seniors Billy Griffith and J.T. Nishimura. 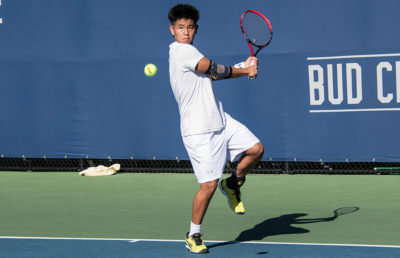 After Griffith and Nishimura won their doubles match on court one, the duo then produced individual wins on the singles court. No. 52 Griffith defeated sophomore No. 66 Bjoern Petersen, 6-2, 2-6, 6-3 on court one and Nishimura beat freshman Matias Soto, 6-7(5), 6-3, 6-3 next door on court two. In the final, Cal defeated Arizona State, 4-3, to walk away as the champions of the weekend –– a feat they were unable to achieve last season. “We had a physically demanding match against Baylor in the semifinals, so we knew that the physical challenges of the Arizona State match were going to be significant,” said head coach Peter Wright. In their previous match against the Sun Devils a little more than a week ago, which was ultimately canceled because of rain, the Bears dropped the doubles point to put them in an early hole. This weekend, Cal learned from its mistakes and flipped the script to jumped out to the early 1-point lead. With the score tied 3-3, all eyes were on freshman Jack Molloy in the last court of action. Molloy never relinquished control under the immense pressure and clinched the match for the Bears, outlasting freshman Tim Ruehl, 6-4, 6-4. On this day it was the freshmen’s turn to step up, as they gathered all of the singles points for the Bears in the win. Molloy, Ben Draper and Jacob Brumm were victors in Sunday’s singles play. Wright was impressed with his squad’s play this weekend to say the least. While Wright has admitted that this is a rebuilding year for the Bears, his confidence in his team never wavered and the youth has already shown growth in just a couple months. Charlie Griffen covers men’s tennis. Contact him at [email protected].